The goal here is to lower your thermostat a few (1-5) degrees (F). If not always, at least while you’re sleeping or out of the house. So, grab a sweatshirt, pull on a toasty beanie and cuddle up with a blanket and a loved one or pet, and let’s look at some benefits of lowering the thermostat. Don’t forget to check in on social media for tips, motivation and accountability and subscribe to be notified when March’s mini-challenge drops. Subscribe to Receive 2018 Impact Challenge Updates! Most HVAC systems still run on fossil fuel power. Decreasing the amount of time these systems run results in lower energy use, and less CO2 emission. Again, these estimates are based on average measurements so YMMV. I’m just trying to demonstrate at a high level what impact is made by making small changes. Lowering your thermostat by one degree (F) can save between 1 and 3% on your power bill. 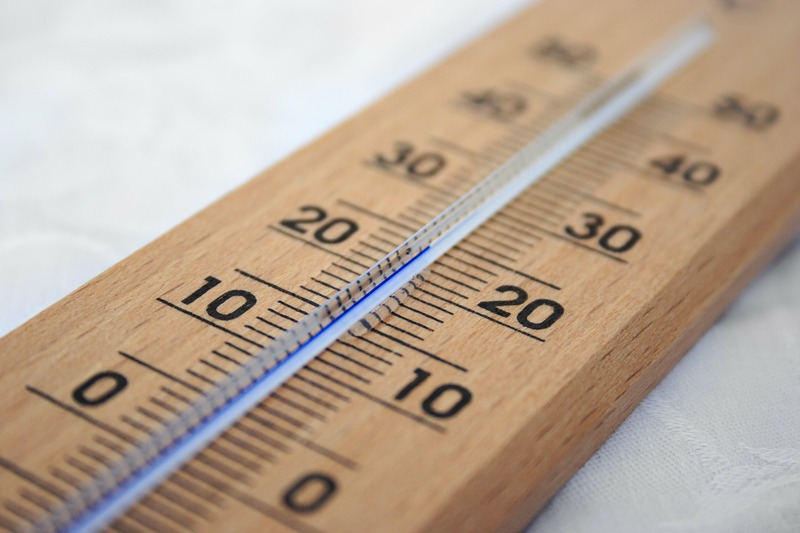 Lowering your thermostat by 2-3 degrees (F) can save about 300kg of carbon dioxide emissions from being released into the atmosphere, not to mention the emissions that are created when generating the electricity to run the heat. This translates to burning about 33 gallons of gasoline in your car. Some sources say it takes about 12 tons of CO2 emissions to heat a house for a year. Cutting those 300kg amounts to a reduction of more than 2.8%, just by turning down the heat a couple degrees. Pretty easy, set the thermostat a couple degrees cooler than you normally would. Too uncomfortable? At a minimum, make sure your heat is turned down while you’re out of the house or while you sleep at night. I like to bundle up in the winter anyway, so maybe get in the habit of throwing on a sweater Mr. Rodgers style. Sometimes I even wear a beanie around to keep me toasty on days when I leave the heat turned down very low (and am feeling too lazy to do anything with my hair). There are some things you can do to keep the heat in, too. For example, keep window curtains closed to avoid losing heat through glass windows. You can also close doors between rooms to keep heat from escaping to open areas of the house, and close vents in rooms you don’t use. Want more? Here are a few other ideas if you’re looking for other ways to decrease your energy consumption in your home. I’d love to hear if you have other home energy saving techniques or ideas! I also want to know how you’re doing with the 2018 Impact Challenge so far! Leave me a comment below to let me know how it’s going. As with last month, I’ll be pinning energy saving ideas in this month’s Pinterest board. If you’d like to contribute, send me a message and let me know. And don’t forget to subscribe so you know when the March mini-challenge is announced! I’m pretty environmentally conscious at home but I don’t give it as much thought as I should when I travel, need to chance that. Some great ideas here!